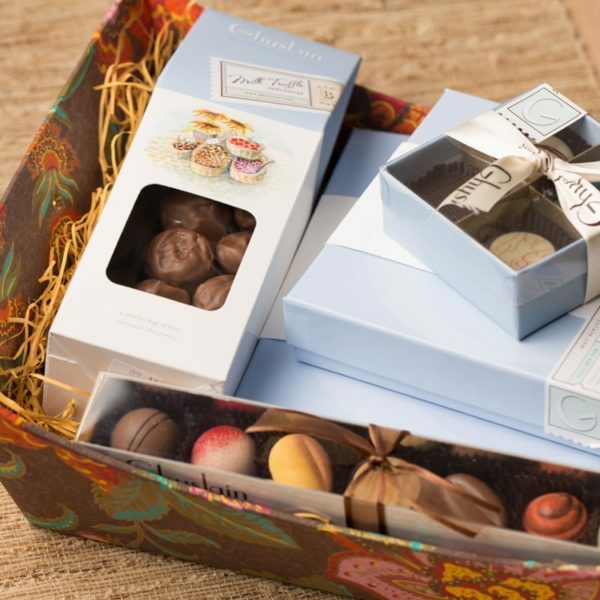 What better way to say thank you or I love you than with a gourmet gift basket? 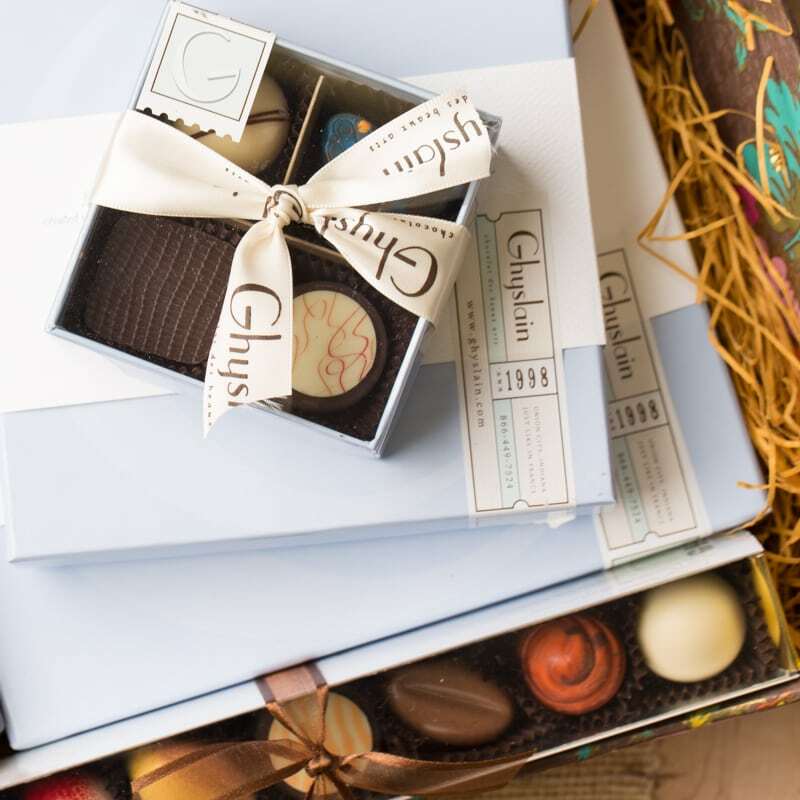 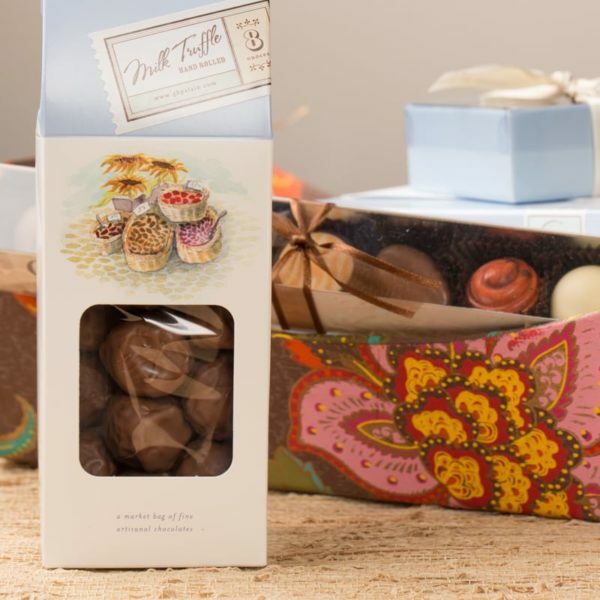 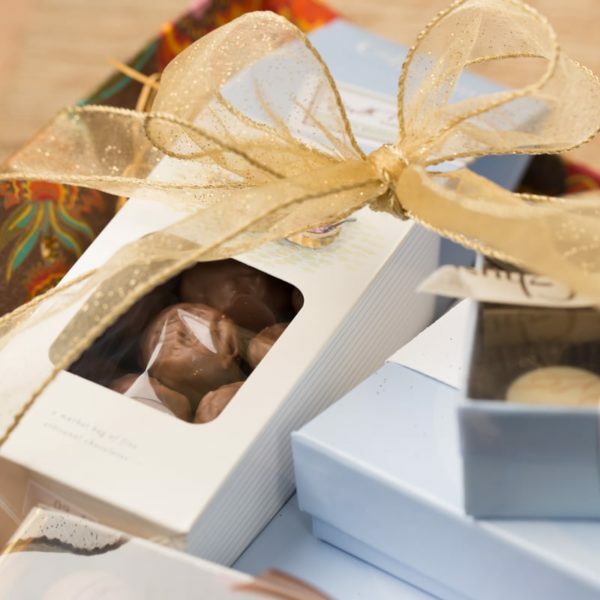 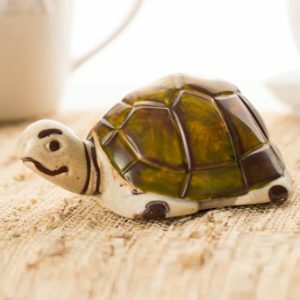 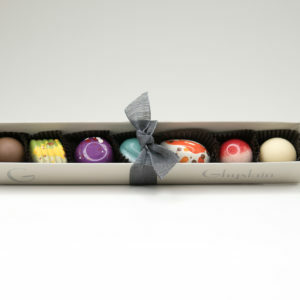 Shower them with gourmet hand-painted chocolates in a variety of unique and masterful flavors. 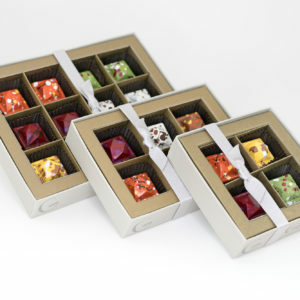 Choose which collection of chocolates fill each box in the bundle. 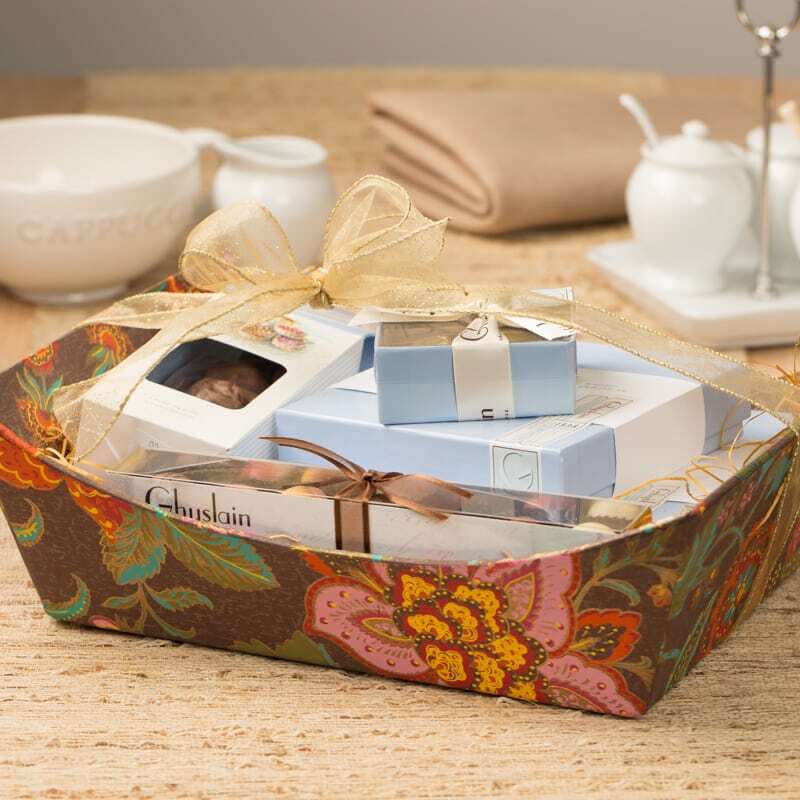 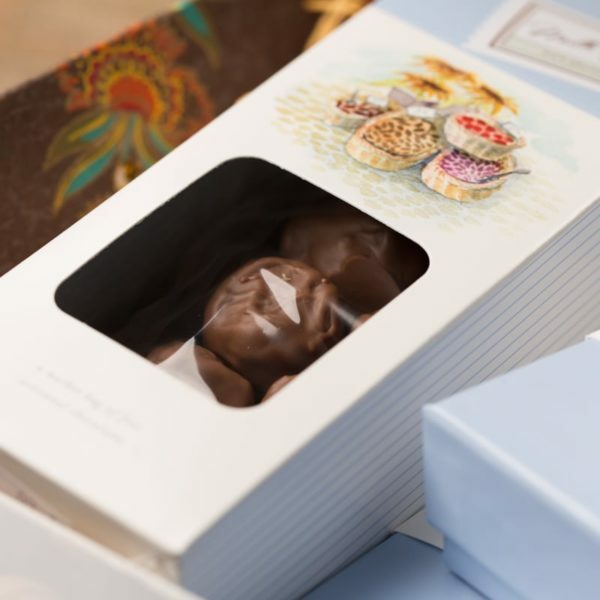 Our chocolate boxes are stacked in a beautiful hand made paper tray and finished with a gold ribbon. Note: Box style may vary. 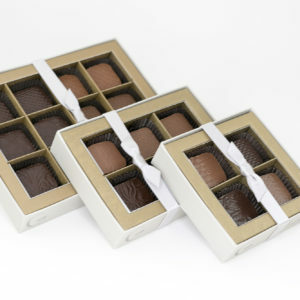 The chocolates you choose to fill them with remain the same.